Despite the current economic challenges, the medical aesthetics market continues to grow owing to increased interest from patients and innovative solutions from the industry. While Germany presents the most favourable indicators for economic stability in the European Union, its demographic reports reveal an ageing society. The combination of steady average purchase power, a predominantly ageing society, and a significant number of producers of state-of-the-art technology and aesthetic solutions make the German market particularly promising. One of the challenges faced by physicians in developing proper customised quality treatments for patients is the need for continued training and in-depth medical education in the rapidly developing aesthetic field. 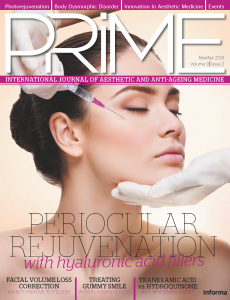 Learning from leading international specialists in the field, being regularly updated about new solutions and techniques, and maintaining and developing a professional network of aesthetic experts are key factors for further growth in the field of aesthetic and anti-ageing medicine. The 1st Anti-aging Medicine European Congress (AMEC) DACH is being held in Berlin on 20–21 of June 2014, specifically to address the opportunities in the German-speaking aesthetic market and to provide a high-quality scientific learning platform for physicians. Aesthetic surgery reveals updates and techniques of invasive approaches. Delegates at the AMEC DACH get a chance to receive updates from all three inter-connected fields in order to potentially expand their portfolio and gain further expertise in the complex and multi-faceted field of medical aesthetics. While the central focus of the congress will be the German-speaking regions of Germany, Austria, Switzerland, Luxembourg and Liechtenstein, as well as Central European countries, the congress programme features renowned international experts from all over Europe and beyond. The programme was prepared with the aid of our German scientific directors Dr Sabine Zenker and Dr Klaus Ueberreiter and in cooperation with an international advisory board including prominent medics from across Europe. Simultaneous translation of all presentations is offered in English, German and Russian. 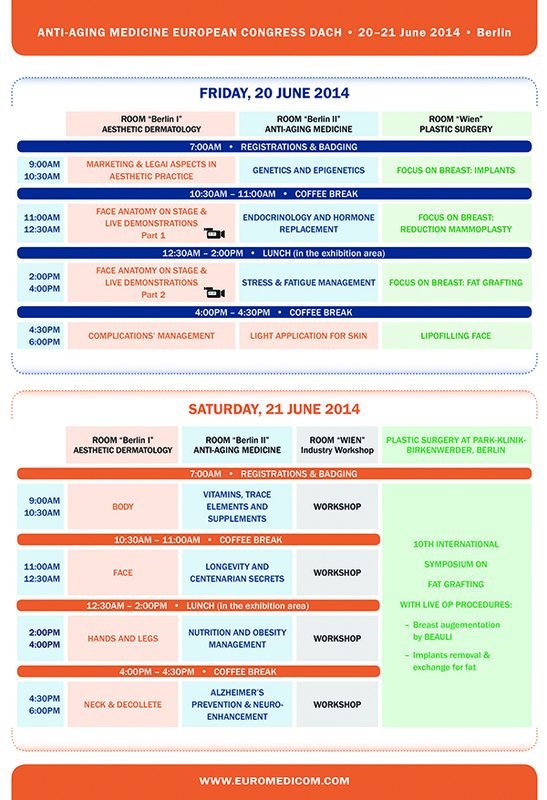 AMEC DACH’s scientific programme focuses on practical content that delegates can apply to their medical practice. Directed by Dr Sabine Zenker and Dr Dalvi Humzah (UK) the aesthetic dermatology track kicks off with a 3.5 hour anatomy course and live demonstrations highlighting the relevant anatomical features of each part of the face, including forehead, glabella and temples, nose and nasolabial area, cheeks, and periorbital and tear trough zones. Corresponding dissected face areas will be shown parallel to live injections on patients, performed by German experts Drs Sabine Zenker, Said Hilton and Redka-Swoboda as well as Drs Bob Khanna (UK), Jani van Loghem (Netherlands) and Rashimi Shetty (India). The session provides solid and practical lessons for better understanding of risk zones and injection techniques. A further session on ‘Face aesthetics: tools and techniques’ addresses a variety of available methods and treatments for specific patient needs, highlighting the latest advances in facial rejuvenation, including smooth threads, chemical peels, specific filler treatments, revealing tips and tricks on male face treatments, and showcasing new injection systems. While procedures related to face rejuvenation remain the top priority for patients, treatments for areas such as the hands and legs as well as neck and dcollet are in demand. Since these body parts age differently from facial skin, special sessions devoted to key concepts and treatments for hands and legs, as well as neck and dcollet beauty form part of the AMEC DACH programme. Body contouring, fat and cellulite reduction, as well as gynaecological rejuvenation will be the focus of the session entitled ‘Body’. Taking into consideration the forecasted future growth of the laser device market, a special session on ‘Light applications for skin’ will offer participants insights into intense pulsed light (IPL), photodynamic therapy, and light assisted hair removal. The specialisation of physicians in the field of aesthetic and anti-ageing medicine is not yet clear to patients, who are often left wondering: ‘Which doctor do I go to if I need É?’ Therefore, marketing and modern communication are essential for successful practice development. A special session focusing on marketing and legal aspects of running an aesthetic practice will include talks from a variety of experts on online marketing tools, medical web 2.0, regulations relevant for marketing purposes, and additional tips and tricks on how to place services and use your expertise in a competitive environment. In the current age of online evaluations, any negative ratings can damage your professional reputation. Proper communication with patients along with side-effect awareness prior to the start of chosen treatments will be addressed in a session focused on the management of complications. German and Dutch experts will offer practical information on handling and avoiding complications resulting from laser treatments, dermal fillers and botulinum toxin. The AMEC DACH congress includes a variety of sessions offering anti-ageing updates. With scientific support from the Swiss Society for Anti-Aging and Preventive Medicine (SSAAMP) and Luxembourg Society for Andropause and Menopause (SLAM), sessions on ‘Genetics and epigenetics’ and ‘Endocrinology and hormone replacement therapy’ will present insights for hormone replacement therapy (HRT) in an aesthetic context and relevant findings in epigenetics. They will also include a presentation from the distinguished Austrian gynaecologist Professor Dr J. Huber. In the context of anti-ageing medicine, the topic of stress and fatigue management will be addressed in a session highlighting stress-related disorders and possible preventive measures. 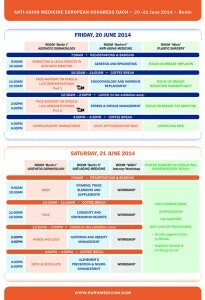 In cooperation with the international ReGenera Research Group, sessions on ‘Nutrition and obesity management’ as well as ‘Longevity and secrets of centenarians’ reveal the latest findings in biophysics, biochemistry, endocrinology, and nutritional science presented by an extraordinary team of international eminent experts. The topics of nutrition and HRT are also of relevance for the ‘Alzheimer prevention’ session where diagnostics and therapy methods will be discussed. A highlight of AMEC DACH is the aesthetic surgery scientific programme. Mammoplasty is one of the most often performed aesthetic surgery procedures in Germany. Therefore, ‘Focus on breast’ sessions have been set throughout the AMEC DACH congress. Types and techniques for implants, mammoplasty reduction, and fat grafting methods will be presented and thoroughly discussed by the selected group of excellent practicing plastic surgeons from Germany, Switzerland, Israel, Turkey, the UK, and Italy, including Professor Dr Jutta Liebau, President of the German Society for Aesthetic and Plastic Surgery. As lipofilling remains a popular method for rejuvenation of aged facial contours, surgeons from a number of European countries will share their expertise during a special session entitled ‘Lipofilling face’ which also features a presentation from US surgeon Jeffrey Ditesheim. Furthermore, participants of the congress get a unique opportunity to also join the 10th International Symposium on Fat Grafting in the framework of AMEC DACH. Besides presentations and scientific discussions, the Symposium features two live surgeries for breast augmentation through fat grafting and replacement of implants through fat, performed by Dr Klaus Ueberreiter at a Berlin clinic. Many European and international companies will present their state-of-the-art developments in the exhibition area as well as during a satellite symposia, making the visit to the AMEC DACH even more rewarding and worthwhile. The German capital is one of the top three European cities to visit. 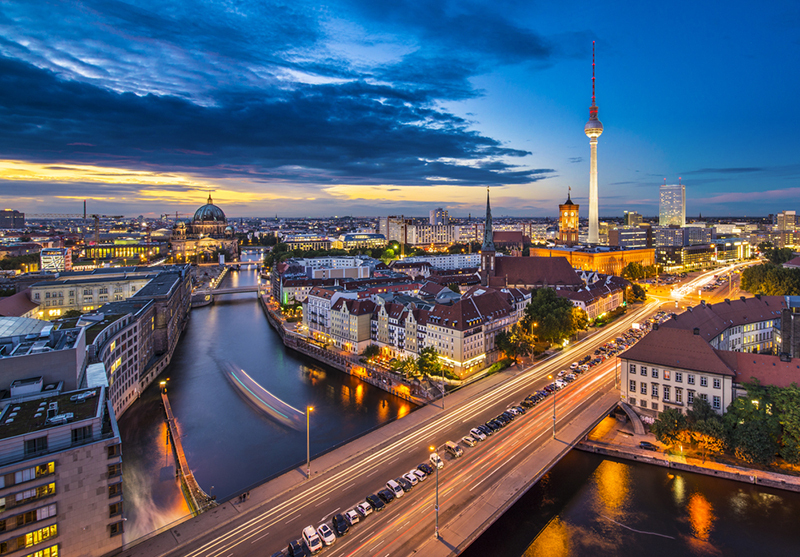 After the informative day programme at the AMEC DACH congress and networking cocktails, delegates will appreciate the cultural scene of Berlin and its multi-faceted night life.